The knife twisted. – Dirty wet dog , boats and sailing. 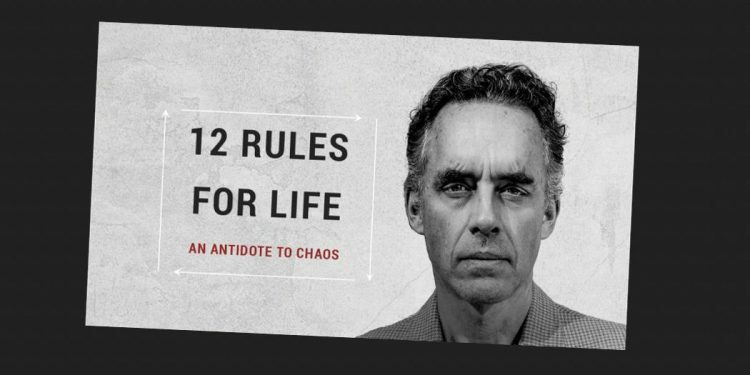 A few days ago i posted about the Dr Jordan Petersen lecture that i attended in London, thoroughly enjoyed my front row seat and came home with the new book “12 Rules for Life” which i haven’t had time to finish yet. The book is going to be my next book at work because the best time for me to read serious stuff is before i start my clinical shift, at the moment i am working through a history of Joseph Stalin as a counterpoint to having recently finished a book about that other 20th century dictator. I enjoyed the lecture, didn’t realise that it was being filmed and then went on to watch the train-wreck of an interview with channel 4 TV ‘interviewer’ Cathy Newman. If you saw the post and/or the interview you might be as embarrassed or angry at the sheer incompetence of the interviewer, plenty were. From almost (almost) any view it was a total JBP clinical smackdown of a pushy, aggressive and ideologically driven feminist who clearly hadn’t done her preparation for the interview and only seemed to be there to push her agenda…..and what an agenda it was. It was disappointing that Dr Petersen had to spend most of the interview correcting Newman against a stream of “so you are saying”…..none of which were things that JBP has ever said . In that sense the interview was a total waste of time and in my view not just an incompetent one but clearly one where the intention was to discredit, intimidate and ‘strawman’ the interviewee. What actually happened is that JBP went into full clinical psychologist mode, closely observes and listens to Newman and then refutes every strawman point she tries to make. I don’t think i have ever seen an interview where one side so clearly listens to and answers the interviewer where the interviewer not once pauses to listen to and consider the answer before launching into yet another attack angle……except for the elegant ‘gotcha’ moment where just for that one moment i thought that Newman’s brain might just catch up with her mouth. For a brief moment it looked like a skillful handling of a difficult situation by JBP but merely hours later the knife had twisted and channel 4 rather than reflecting a bit went into not only full denial mode but quickly moved to present Newman as the victim of a torrent of online abuse and threats from JBP supporters. The level of threat was presented as so severe that Ch 4 called in ‘security experts’ to assess the level of threat. Alongside that other elements of the English media took up exactly the same line and suddenly people like me were being misrepresented as low-brow, moronic internet trolls threatening and abusing ‘brave’ Cathy Newman. Well i for one didn’t post any abuse or threat (apparently it was mainly on Twitter) but merely by posting my opinion on my website i am by mere association one of the ‘legions’ of internet trolls victimising Newman. Everything changed quite literally overnight , the narrative went from discussing the points raised in that interview which was forgotten to a highly polarised JBP vs Newman where JBP and his supporters are the trolls and Newman and the English media are the only ‘correct’ opinion……quite honestly the whole thing stank of the same hypocrisy as the Laurier/Lindsay Shepherd affair. The next day it was almost painful to watch JBP’s own analysis of that interview and its repercussions given in the following interview in the Netherlands. The knife twisted again : somebody has taken the time to look at and analyse the actual numbers of ‘threats’ that Newman received from JBP’s ‘legion of trolls’ by actually doing a search for threatenning words such that might be picked up by say the police. Now here is the thing : she did get a whole load of vitriol but (and this is a very big but) the level of threats going one way ie towards Newman are only at a ratio of 30 : 1 of actual threats received by JBP for the same issue. It seems now that the end result is a lose-lose and that there has only been a wasted opportunity to genuinely engage with and challenge JBP on some of his views. While being a JBP supporter there are things i would like to challenge him on, i guess i will never get the chance so i have to leave it to others that live in this corner of the internet to do that. At the end here i am going to post a video by Karen Straughan who has a completely different take on the whole thing. Previous Several shades of Grey. Interesting and analysis, especially regarding the ratio of vitriol in the final paragraph.